Since its initiation of the financial sector reforms through a newly established global cooperation process in the post-2008 financial and economic crises, the G20 expanded its agenda to include development pillars as the global economy began to recover in 2010. It actively extended its attention to the recycling of surplus country savings for investment in infrastructure in deficit countries, to … the achievement of global food and energy security, to addressing the growing financialisation of commodities and its impact on price volatility, and to the costs and benefits as well as the intent and impact of continuing energy subsidies. It began to focus on recent global initiatives on climate change and adaptation financing with global equity and economic efficiency in mind. 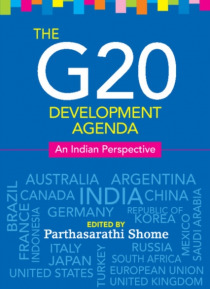 This volume addresses such issues in the G20's development agenda and assesses their relative successes and failures, with a particular focus on how the issues are of relevance to India.